This is a beach of resorts and festivals where you can get treated with thermal waters and excellent wine. Go boating in Cave Lake and see thousands of sailboats gliding across the azure of the immense "Hungarian Sea." Stroll through the lavender town that Brad Pitt and Angelina Jolie have chosen. 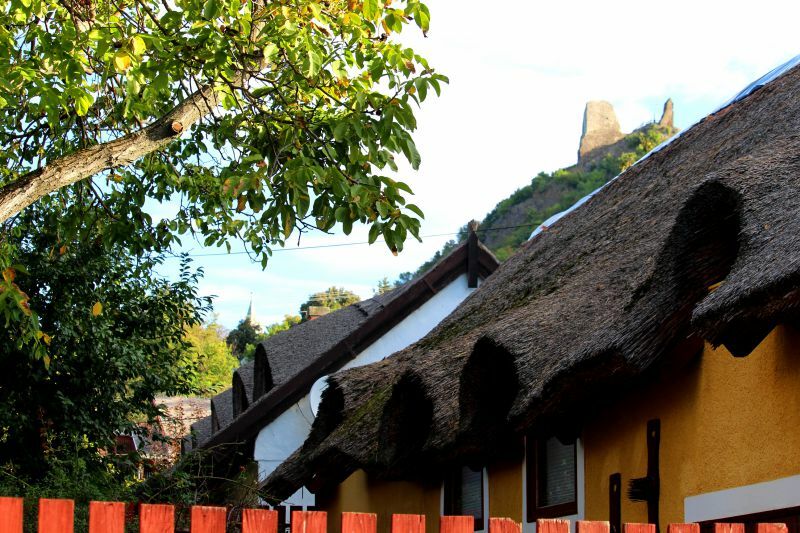 Climb to the extinct volcanoes and taste the famous goulash soup. The IGotoWorld team returned from an expedition in which we explored the Hungarian coast for you: and we want to share our discoveries. Further on, only the best sights of Balaton, which are definitely worth seeing! Photo taken on the Tihany Peninsula. We want to admit honestly: we were a little sceptical about our trip to Balaton, a resort region stretching along an endless freshwater lake. Well, how Hungary can surprise us after the gold of Budapest? We even thought, maybe we could hop to Vienna, if it becomes completely boring? But we were mistaken! Not sparing our legs, we spent the whole week from early morning till night getting acquainted with the sights of Balaton and Hévíz, that is situated nearby, with their cuisine and very responsive, hospitable people. On the thermal lake Hévíz, one of the most popular attractions of Lake Balaton. 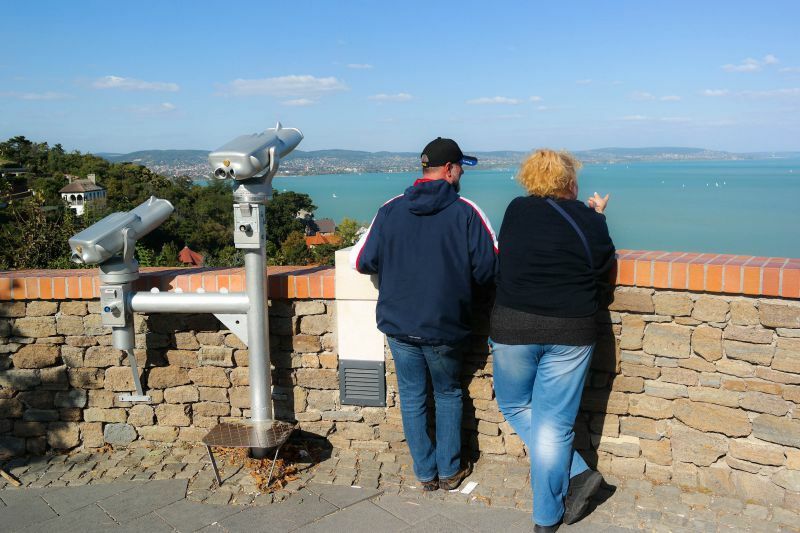 Balaton is still little known Europe among tourists. And this region has a lot of surprises for you. Picture taken from the Tihany Peninsula. Picture taken on the embankment in Keszthely. 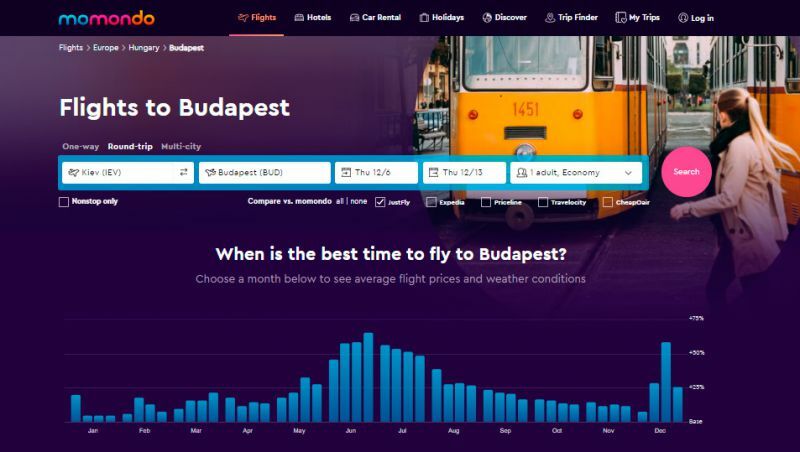 Find cheap flights to Budapest on momondo. "Hungarian Sea". 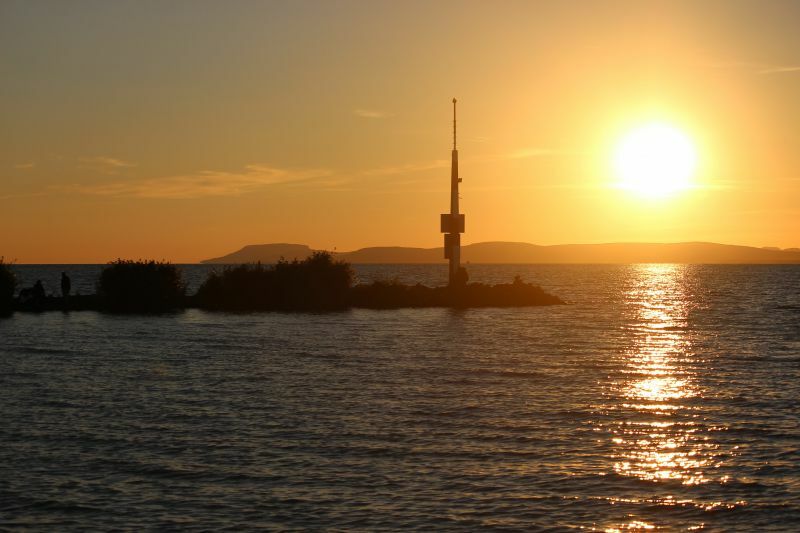 This is a romantic name of the largest lake in Hungary – Balaton. And it is hard to disagree: it is really huge! 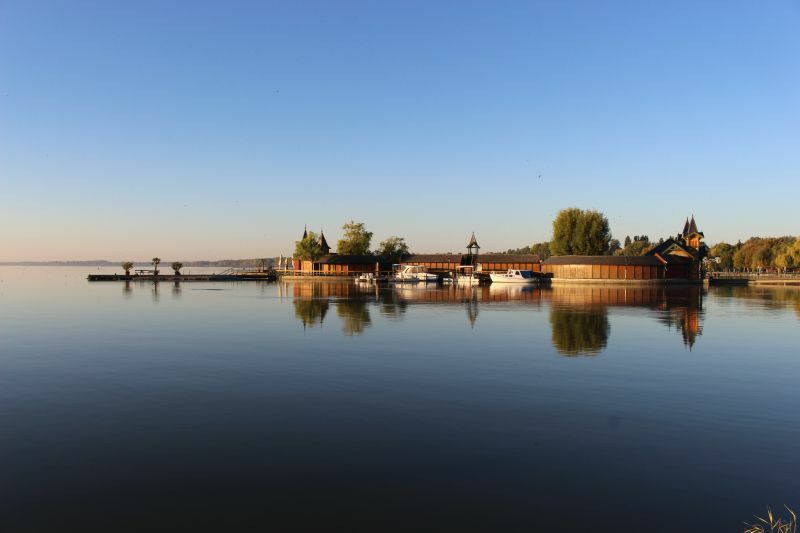 Just imagine – the lake stretches for almost 80 km! Its coast is filled with cozy resort European towns, immersed in lavender and wine. The other time when we saw that many yachts, was perhaps on the Cote d'Azur. And we cannot even describe the water in the lake! Crystal clear, turquoise and serene. Like from a commercial about the Maldives. In addition, swans live on the lake and demand to feed them. And it is truly endless: it reaches 12 km in width! We reached Balaton in the evening. It greeted us with the golden sunset reflected in the waves. It seemed that we were at the sea, surrounded by a mountain ring, where the sun goes to sleep. 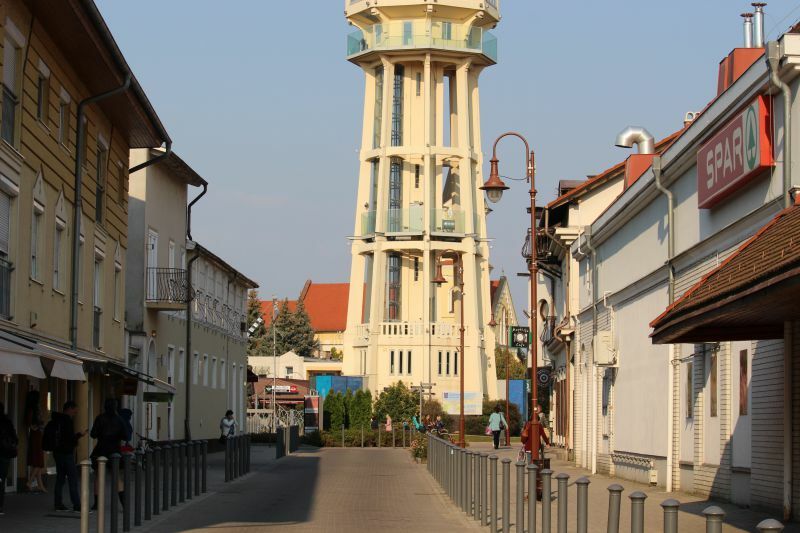 Picture taken in the town of Szántód, on the other side of the Tihany Peninsula. Swimming in a warm lake, when you cannot go outside without a warm jacket. It is just ama-a-a-izing! We have arrived at the end of September, but the water in the lake was +27! 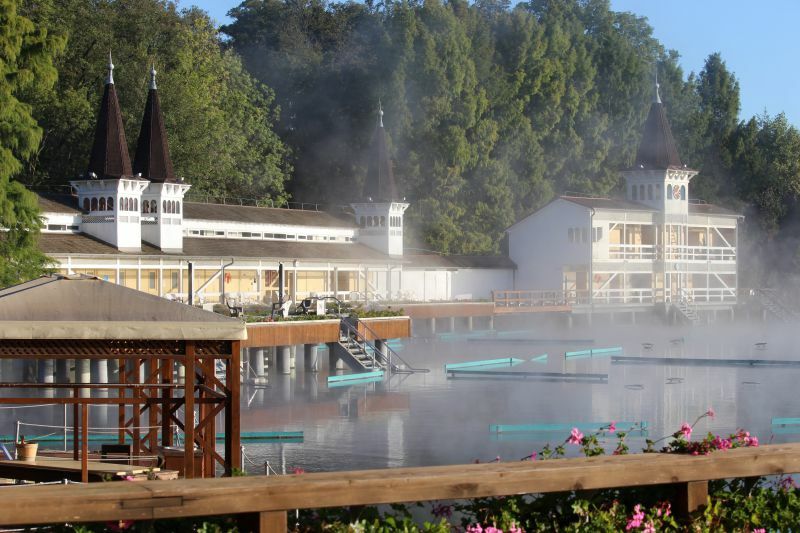 Hévíz is the largest thermal lake in Europe, and people come here from all over the world to theat their health. But what is really outstanding – you are swimming among water lilies! You can just reach them by hand! This flower, brought from India, is a symbol of the city and the pride of Lake Heviz. At 6 in the morning the lake is still “asleep”, wrapped in clouds of fog. It is simply not visible! Interestingly, the water in the lake is renewed every 2–3 days, and its source lies deep in the cave. 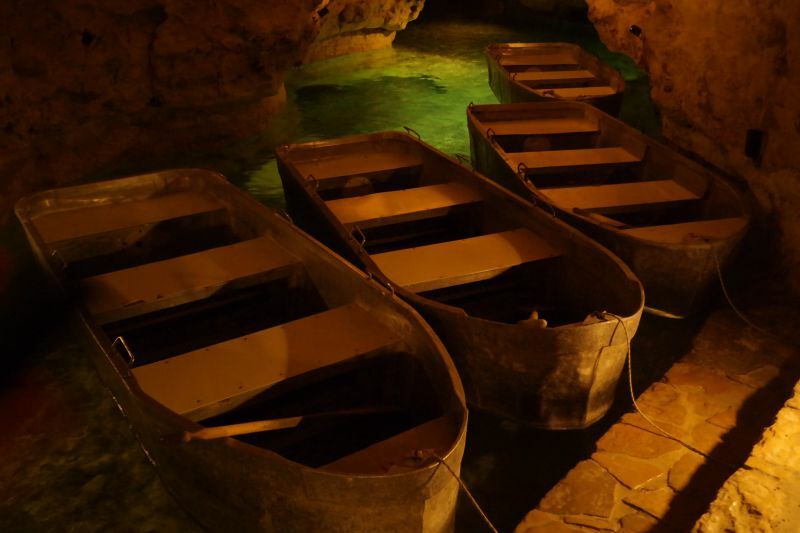 Underground lake with clear water, where you can ride on a boat! Just an incredible adventure! The highlight of this cave is a narrow canal. In some places, the walls of the cave come so close that you have to throw away the oars and push off the rocks with your hands! One of the most visited places in Balaton. It is worth a look! Location: Tapolca, Kisfaludy Sándor u. 3. Coordinates: 46.883103, 17.443536. Extinct volcanoes! Rather, what remains of them, after many, many years, when the region still had active volcanoes, several million years ago. What you see in the photo below are the basalt peaks, which used to be the volcanic islands of the Pannonian Sea that no longer exist today. The tops of the mountains are just incredible: stone pillars directed into the sky! The basalt mountains – the unique geological landmarks are partially preserved. Well, when else will you have the opportunity to look at the bizarrely frozen lava? Location: the photo was taken from the Szigliget castle, located on a mountain peak, the best panorama of the extinct volcanoes of Balaton opens up from here. 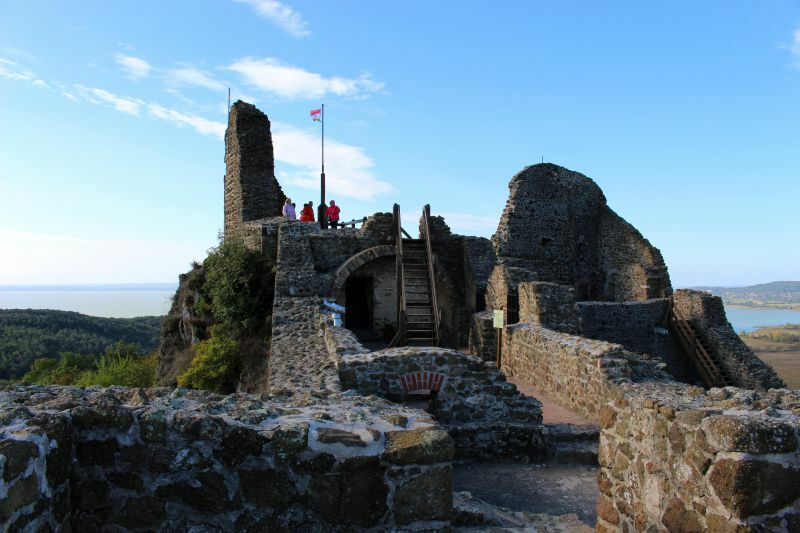 Coordinates of the castle with an observation platform (parking): 46.803745, 17.434267. Coordinates of one of the most popular basaltic mountains – Hegyestu: 46.889327, 17.646445. 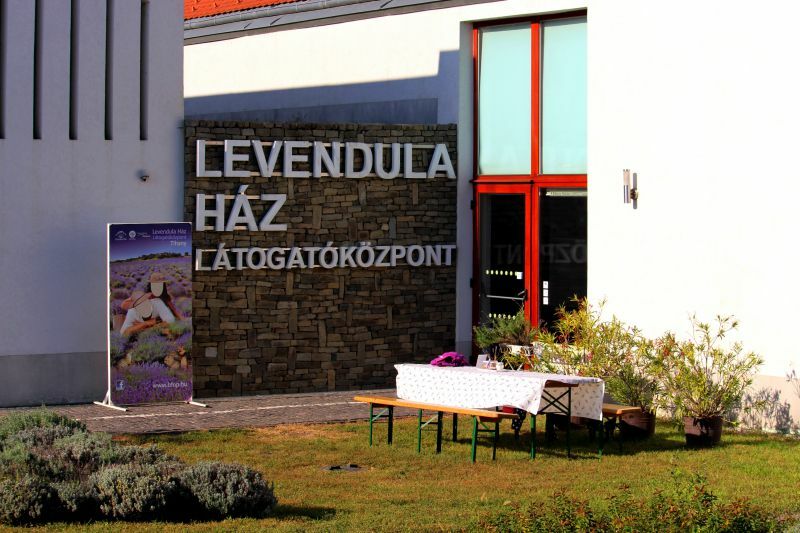 Coordinates of the museum in Tapolca and the Cave Lake (here they tell the story of the volcanoes of Lake Balaton and give you a ride in the boat in the underground lake that we have mentioned above): 46.883103, 17.443536. Tihany is the name of a peninsula and a charming Hungarian town. In the inner circle, we jokingly called it the city of Brad Pitt and Angelina Jolie. Our guide said that once in the past the shooting place of the film In the Land of Blood and Honey, directed by Jolie was situated not far from Budapest. The star couple stayed in Tihany, in a palace on the lake shore. We tried to look at the house as best we could, but it is hidden in a secluded corner, behind the dense crowns of trees. What can we say, Hollywood stars have found a good place for themselves! 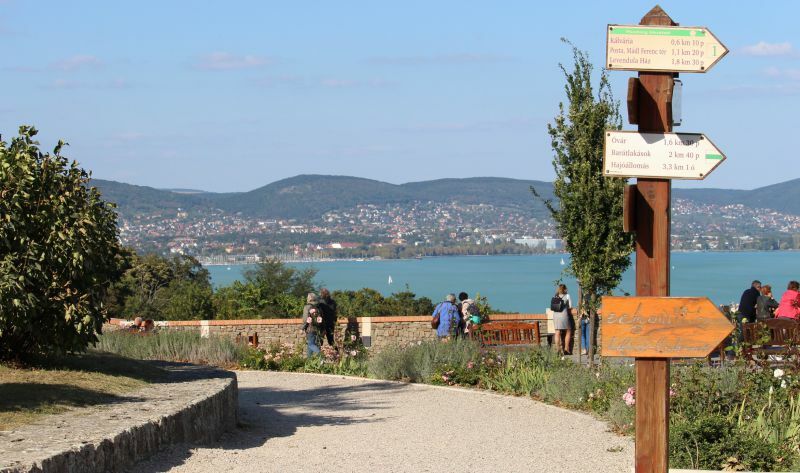 The little peninsula is immersed in lavender, and the best views of Balaton open from its embankment! Neither the coast nor the edge – on the azure sea, with hundreds of sailboats. 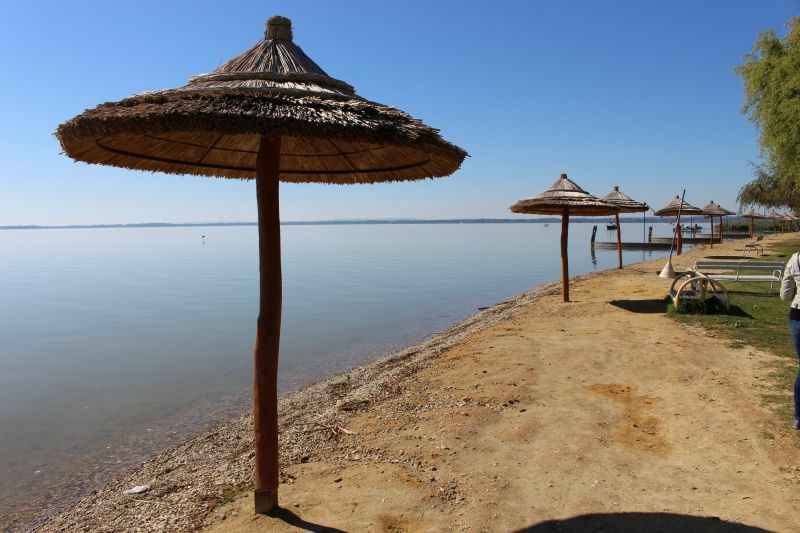 The Tihany Peninsula is a nature reserve with rare birds and forests! Time flows differently here. 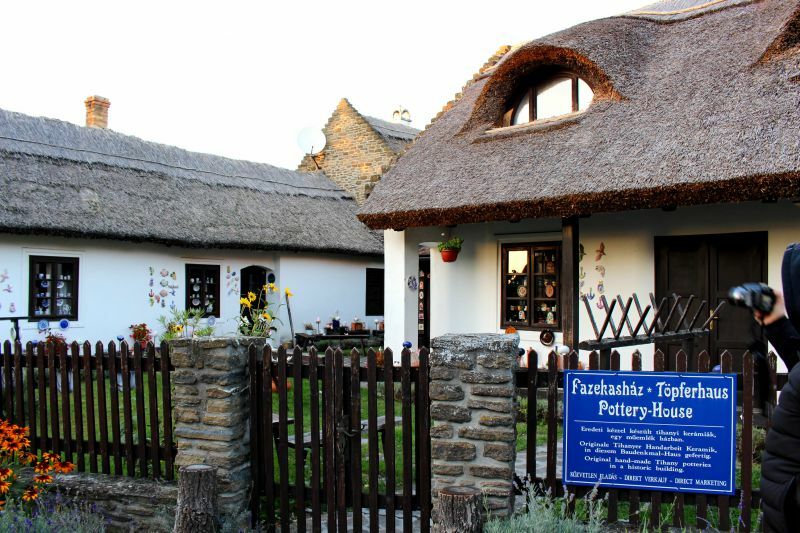 On the picturesque medieval street Batthyány you will see a lot of cafés, souvenir shops, shops and historic houses. Location: the Tihany Peninsula is located in the northern part of Lake Balaton, near the town of Balatonfüred. The coordinates of the central street of the island: 46.912978, 17.889191. 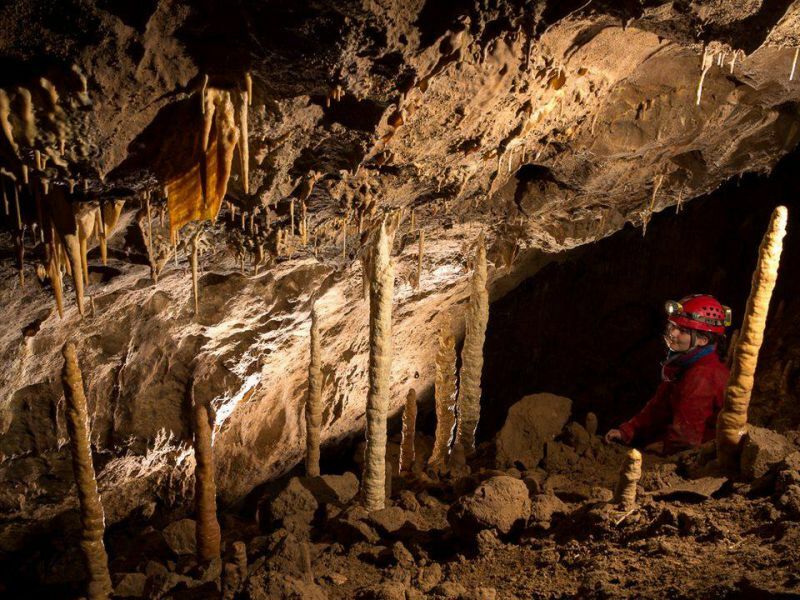 This is where you can discover the magical underworld of caves, observe stalactites frozen in eternity. Csodabogyos Cave is not a standard tourist walk for 15 minutes. It includes special clothes, helmets, flashlights and 1.5–2 hours of adventure! Photo source: Balatonfelvideki Nemzetipark official Facebook page. Location: Balatonederics. Coordinates: 46.792208, 17.369979. We did not expect to find... lavender at Balaton! Are you dreaming about a beautiful selfie in the endless fields of lavender, glowing with lilac paints? Forget Provence. Hungary is closer! In the past, lavender was brought here from France. Tremulously raised in the mountains, it assimilated here. 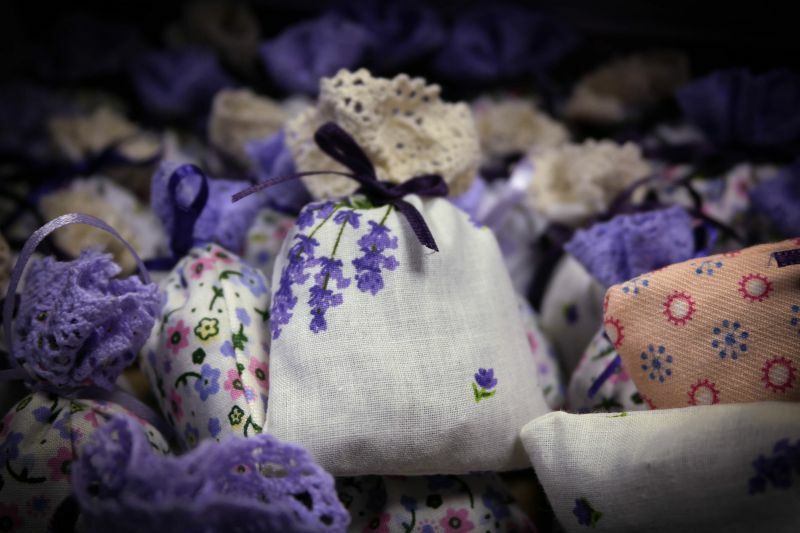 Now the festival of lavender is held every year at Balaton. You can participate and collect yourself a bunch of lavender. Let’s go? Location: Kőröshegy, Dózsa György köz HRSZ. Coordinates: 46.833393, 17.881775. 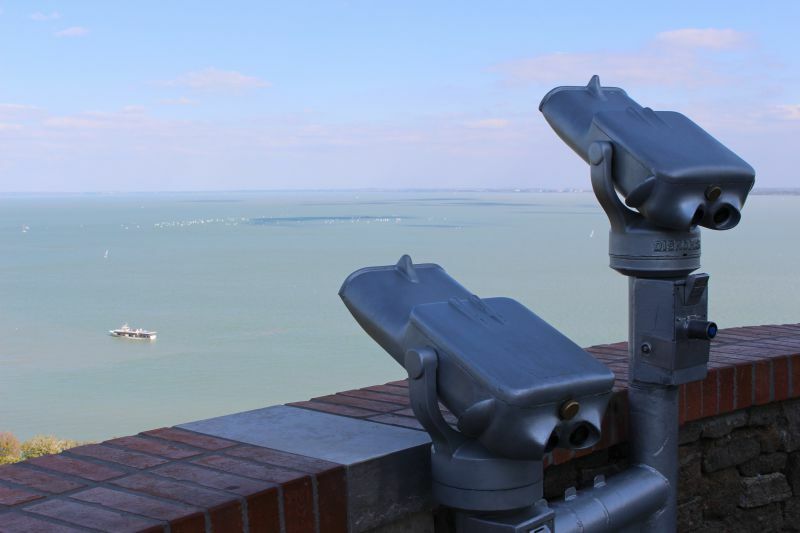 One of the most breathtaking panoramas at Balaton! Juicy, green lawns, billowing above the serene blue of the immense Balaton! There is parking, shops, walking paths, several cafés, and a little further there are golf courses. Location: on the road from Balatongyörök to Szigliget. By the way, this is one of the most panoramic roads at Balaton. The coordinates of the site: 46.769598, 17.360921. Second place to go for health after Hévíz. 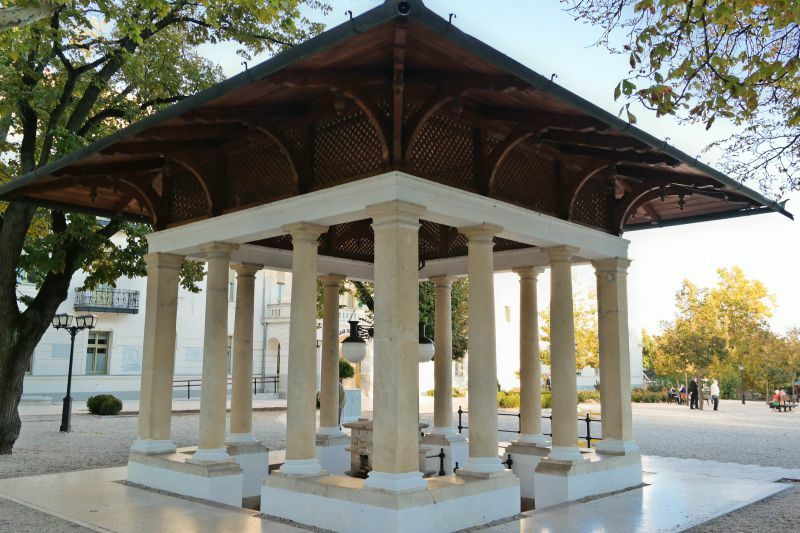 The water from the mineral spring in Balatonfüred is that healing that a cardiology center was erected next to it. By the way, the town itself has one of the most beautiful and lively embankments on the whole Balaton. There are many museums, cafés and restaurants, boat and yacht rental, as well as a lot of other attractions. Location: Gyogy ter 1, Balatonfüred. Coordinates: 46.956047, 17.895118. “Mom, I am in Paris! Well, at least in Vienna." 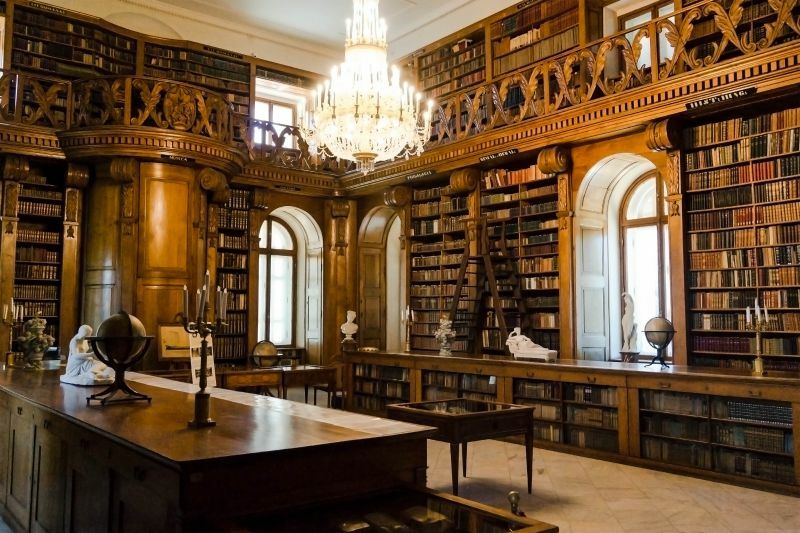 We just could not believe that it is possible to stumble upon a dazzling palace in a small town where you are surrounded by neat Hungarian houses! Yes, and the third largest in Hungary. The castle-palace, built in the 18th century, belonged to the famous Festetics family. What a luxury inside! It is simply a royal boudoir! And the old library with secret doors! You got straight to Hogwarts, Harry Potter! Where are you, I am already here! Location: Keszthely, Kastély u. 1. Coordinates: 46.770785, 17.241662. 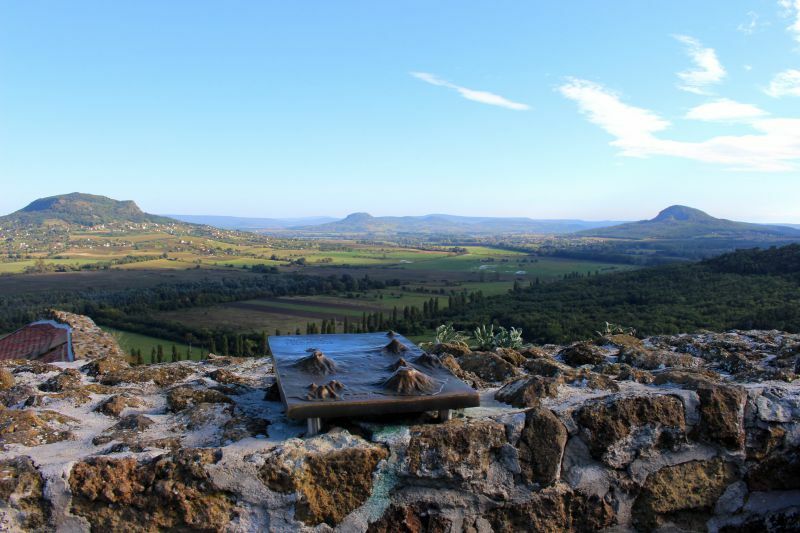 The ancient Romans chose this land in the 1st century AD. 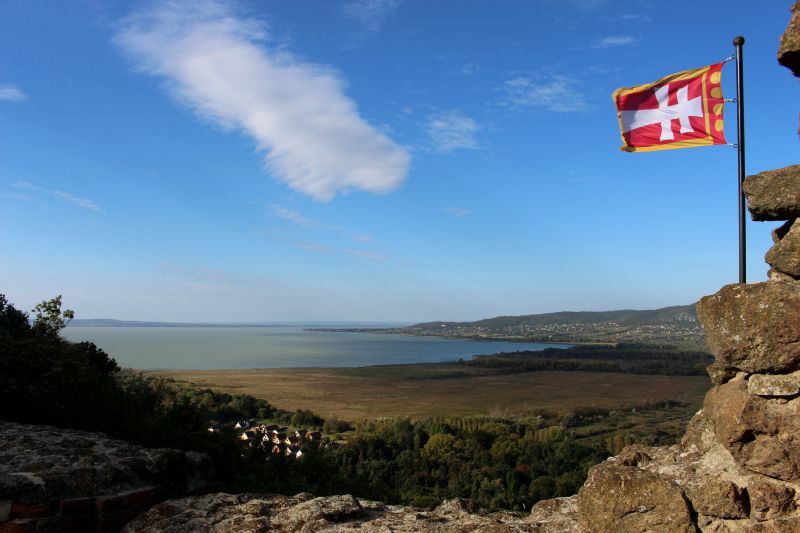 The conquerors founded the province of Pannonia, and Lake Balaton was given the name Pelso (shallow lake). They first introduced the fashion of the thermal baths. Only the ruins of ancient towers and burial sites remained in memory of the Romans. 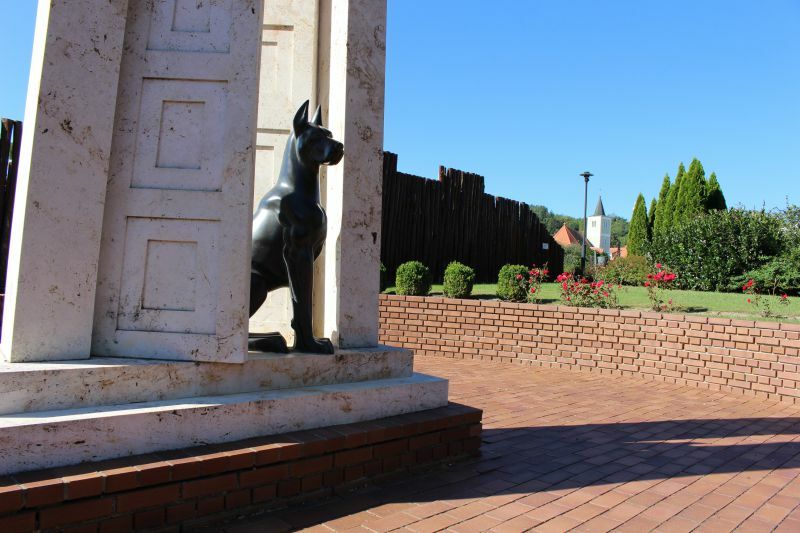 If you are a fan of history, tours are organized to different "Roman" corners on Balaton all summer long. 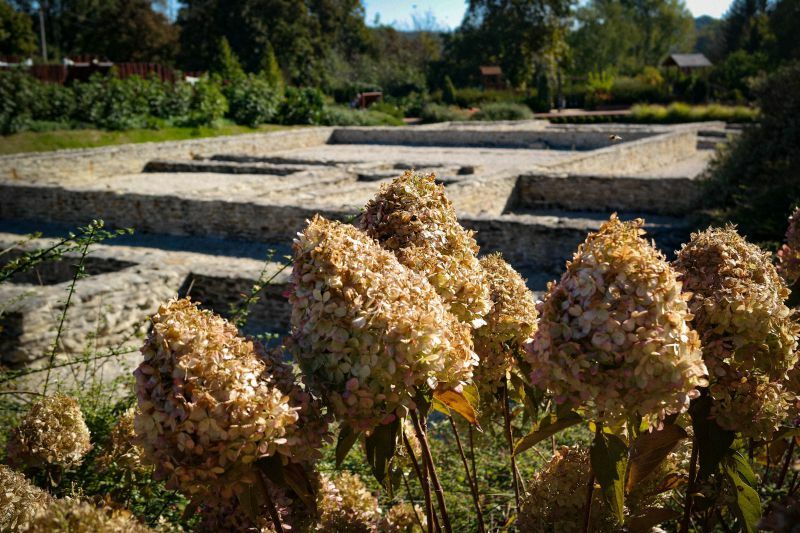 We have found the Roman ruins on the territory of the museum in Hévíz, in the Egregy region. The ruins have a beautiful garden, there are some interesting sculptures, a history museum. The place is quiet and beautiful. What a beauty! You feel like a bird hovering over a lake and green valleys! To become such a bird, we had to sweat a little and climb the steps to the fortress. But it does not matter when the panorama opens up in front of you! The Szigliget Castle was built in the 13th century, and they fought off the attacking Ottoman Empire from here. But in the 18th century it was destroyed by the order of the Austrian emperor. Restoration work is ongoing. 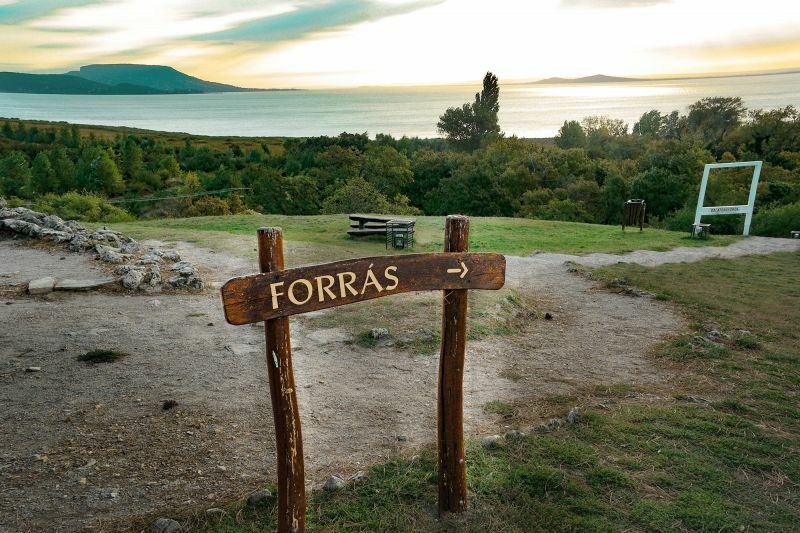 The stunning panorama of Lake Balaton and the valley of volcanoes opens from here. We have mentioned it above. 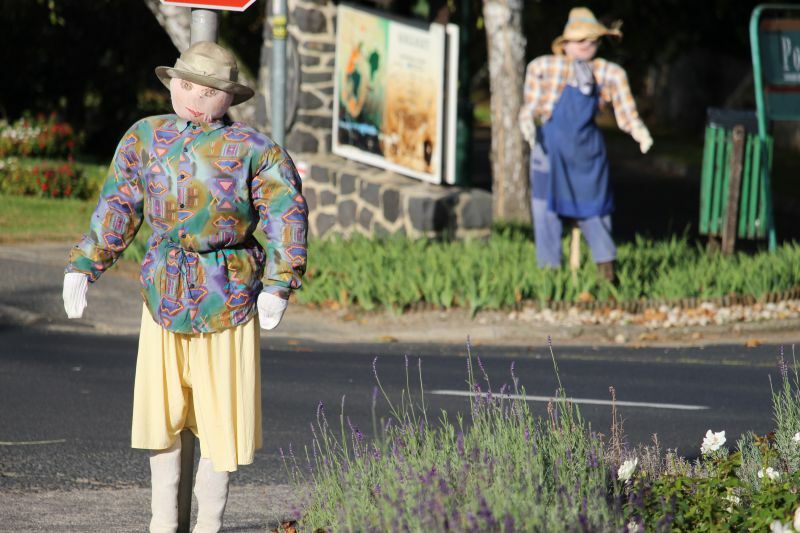 Have you been to a "scarecrow city"? We have. Early morning. Silence. There is no one on the streets. And only these girls and boys, as in the photo, smile at you quietly at every corner. It turns out that there is such a tradition at the wine festival: to place scarecrows near the houses. And there are beautiful colorful thatched roofs in a small village! And they are not planing to go into the past: the builders erected new ones before our eyes! In all fairness, it is worth saying that the street where there are many old houses with thatched roofs is called Kossuth utca, and the city itself is located just below, closer to Balaton. And from this street you can already see the top of the Szigliget Castle. Location: a town Szigliget near Balaton. Coordinates of parking near the castle, there is a café nearby: 46.803716, 17.434242. Coordinates of Kossuth street: 46.800989, 17.435413. 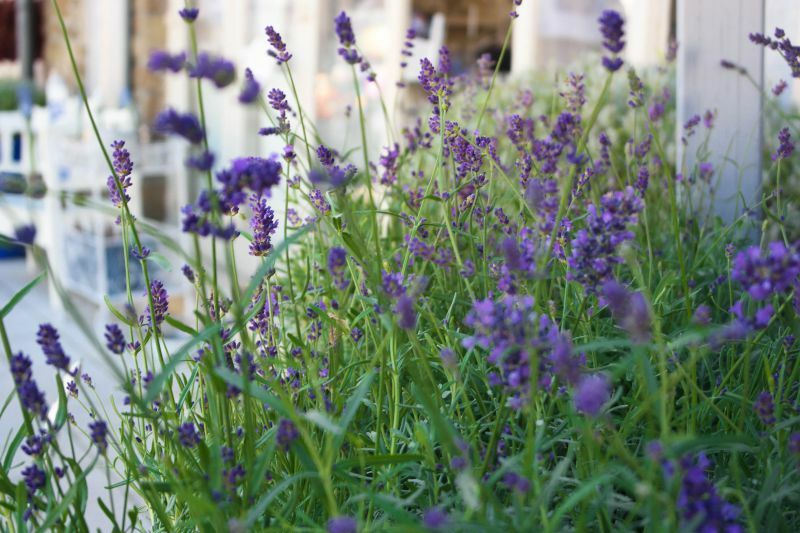 The Lavender House is such a nice place where everything is connected with this fragrant flower! Next to the Lavender House there is the inner lake of the Tihany Peninsula – Belső. There is a walking trail around it. Traditional for Hungary gray cows graze grass next to it, and gophers build their endless passages nearby. Location: Major u. 67, Tihany. Coordinates: 46.909046, 17.888207. How! 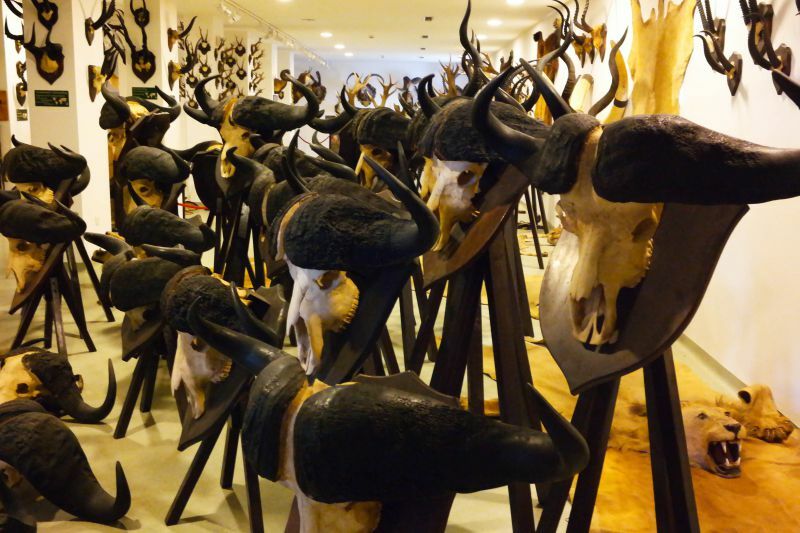 Just how could only one person kill more than half a thousand animals? The Hungarian hunter travelled around the world – elephants, lions, buffaloes, alligators, polar bears became his prey... He presented his entire collection to the city. This place causes conflicting feelings. But in the same building there is another museum, more peaceful: of train modeling. 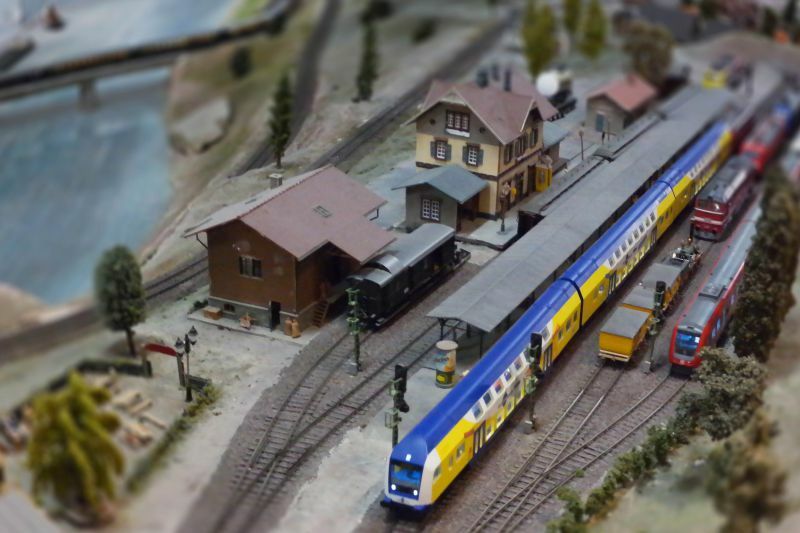 Miniature trains, tiny stations and doll houses are an amazing place! Location: Bástya u. 4, Keszthely. Coordinates: 46.772411, 17.237767. 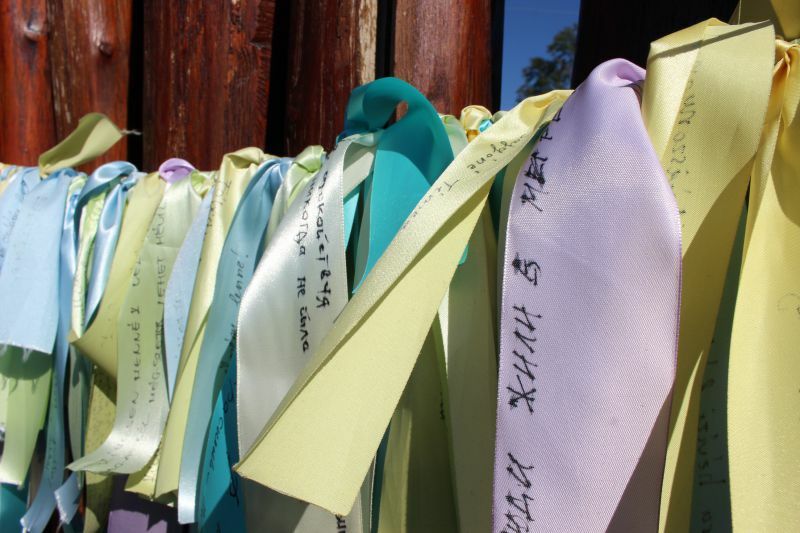 This is a place to make the most intimate wishes. 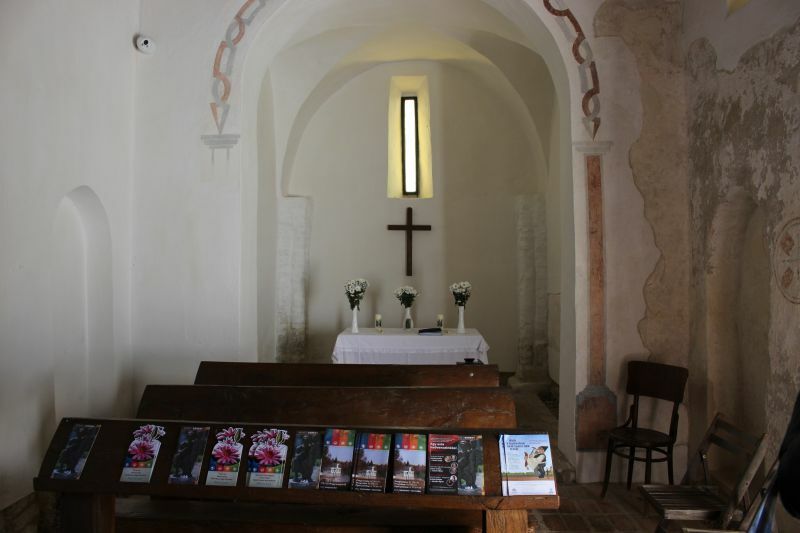 Most people ask for health, because, according to legend, the Roman tribune was healed here. The benches are covered with ribbons of wishes, and there are so many among them, written in Cyrillic letters, and even yellow and blue! The museum tells about the Roman ruins that we have mentioned above. 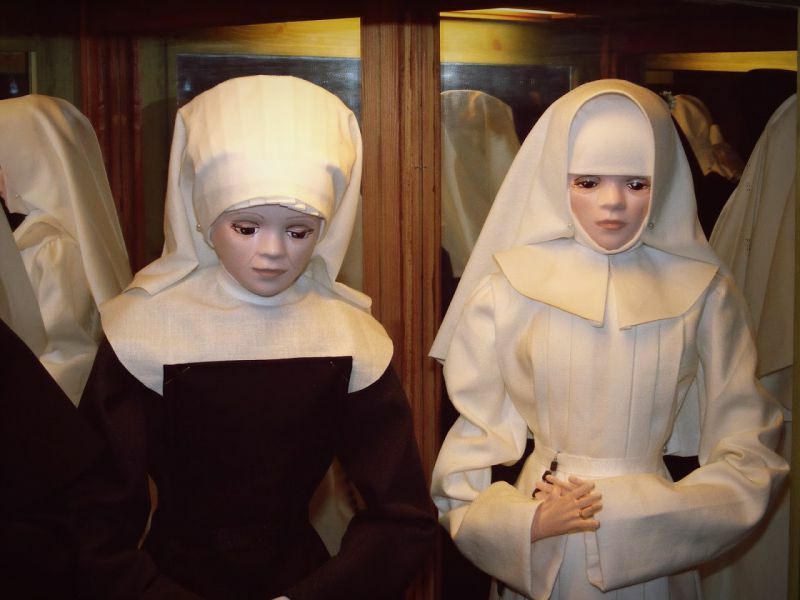 700 dolls dressed in ethnic outfits, a model of the Hungarian parliament, lined with shells, Cadillac Museum, retro toys, and even erotica... 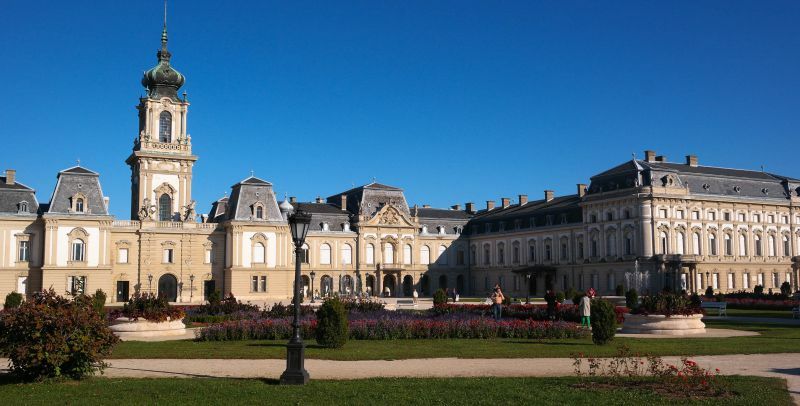 The small town of Keszthely gathered about a dozen small but amazing museums! These are all private collections that you can see if you stay in the city for a couple of days. 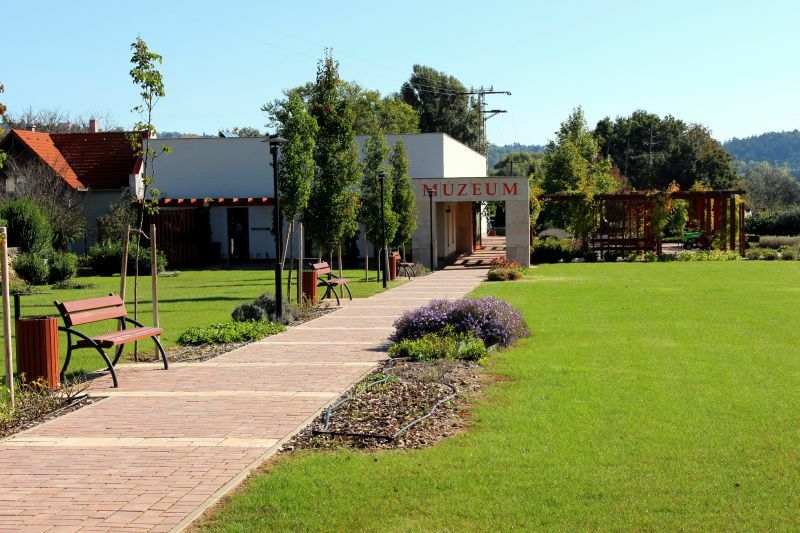 Photo source: the official site of the Babamúzeum Museum. In addition to the museums listed above, the Festetics Palace is also located here, as well as the Hunting and model train museum. 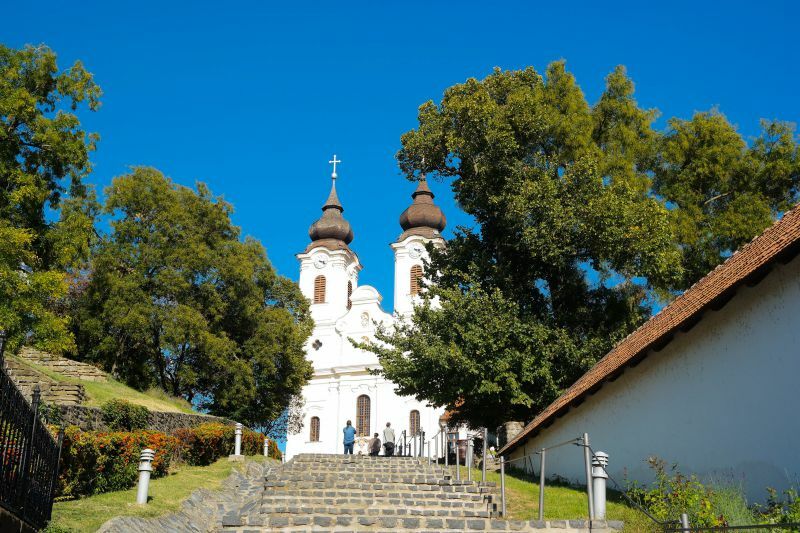 In addition, Keszthely itself is an incredibly beautiful city, with pedestrian streets, cafés and restaurants, original monuments and churches. Coordinates of the central pedestrian street in Keszthely (Kossuth Lajos u. ): 46.765284, 17.242823. Coordinates of the tourist center in Keszthely (Keszthely, Kossuth Lajos u. 30): 46.766230, 17.242821. The ancient abbey is closely connected with the history of the Hungarian kings. King András, who created the abbey is buried in the crypt. The last of the Habsburgs, who ruled Hungary, spent the last days in its walls. Traditionally, we imagine the abbey to be strict and austere, but with Benedictines this is not the case. This is a fun place where you can find a recipe for the favorite cake, find out how the monks made wines, beer and liquors. And even sit down with the holy fathers (admittedly, wax ones) on a stool, watch a culinary program: they broadcast how to cook the fish correctly in the abbey. The view of Balaton from the terrace at the abbey is incredible! Location: András tér 1. Tihany. Coordinates: 46.913751, 17.889437. You should come to this church early in the morning. This way you can see ancient frescoes in the first rays of the rising sun. For centuries they were hidden behind thick walls. Long time ago, during the Turkish wars, the temple was turned into a fortress, by strengthening the walls. And only 4 years ago, during the reconstruction, builders were surprised to find a 600-year treasure in the thickness of the walls. The temple is open to visitors at any time, but only in the morning the frescoes acquire an extraordinary glow. 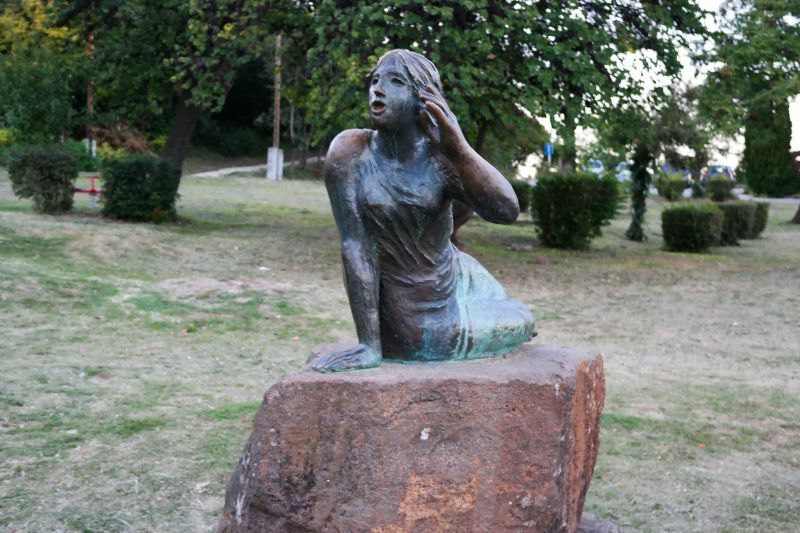 Location: Fő tér 5, Keszthely. Coordinates: 46.765284, 17.242823. Local pantheon with a round dome. 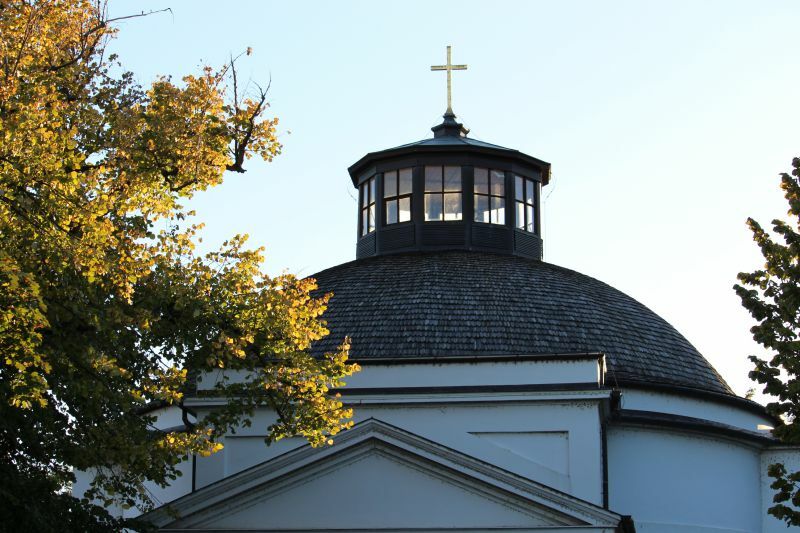 This church is practically the emblem of the city, and it adorns souvenirs that are sold here! Location: Blaha Lujza u. 3, Balatonfüred. Coordinates: 46.954938, 17.892535. The church is located on Mount Egregy. 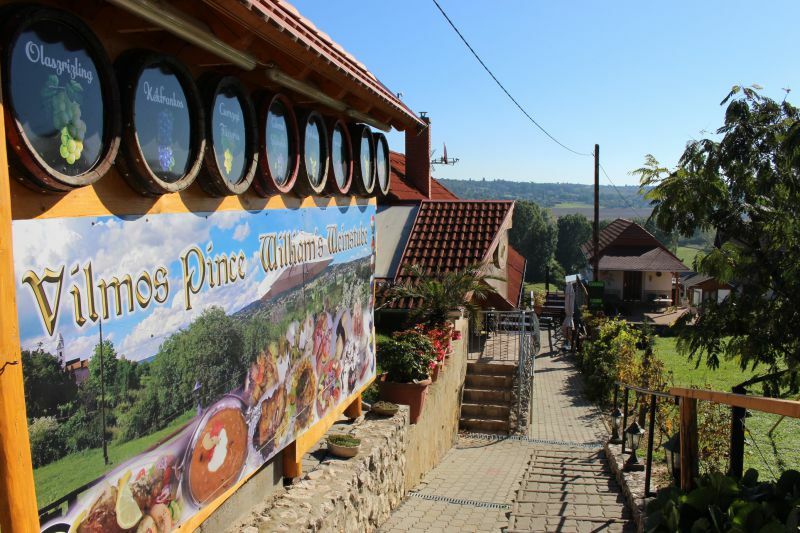 This is a famous valley of vineyards and restaurants in Heviz. You should definitely come here in the evening for wine and delicious food! The most beautiful embankment of Lake Balaton! 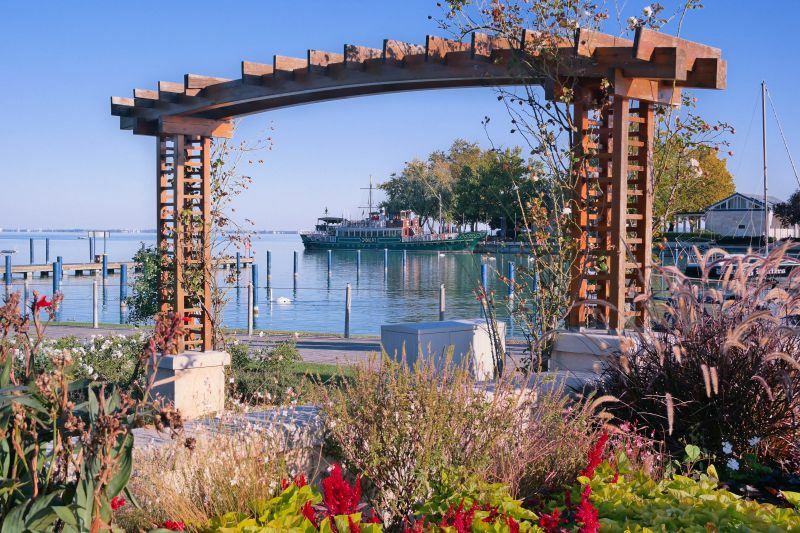 The Tagore Promenade in Balatonfüred is a lively place immersed in roses and cozy gazebos where the masts of sparkling yachts sway and the swans approach you, demanding bread. 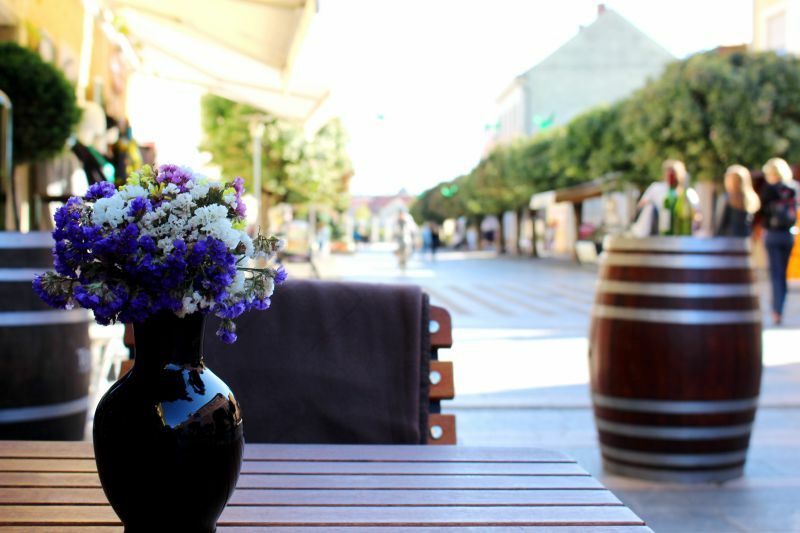 An ideal place to get to know the soul of Balaton. Location: Balatonfüred, Tagore Sétány. Coordinates: 46.953379, 17.893657. With a breeze, at a speed of 35 km/h, we were swept along the turns of the so-called bobsleigh track. And we have made a few circles. We recommended it! Great fun. 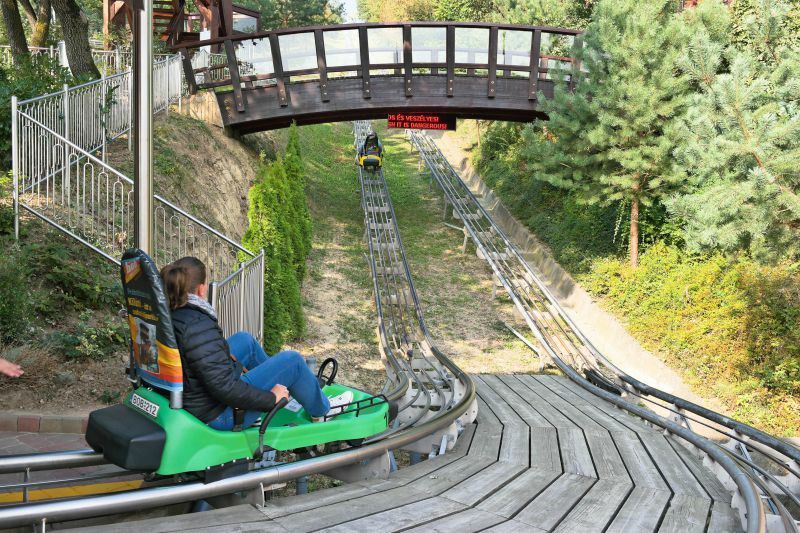 You will find it in the adventure park BalatoniBob Leisure Park. Also there is a mega-cool rope park for adults and children here: a rope town with many paths where you can spend the day! Location: Balatonfűzfő, Uszoda u. 2. Coordinates: 47.070815, 18.026718. In the city of Veszprém, you will find a zoo with all representatives of Madagascar: zebras, Madagascar lemurs, giraffes, and other little animals. 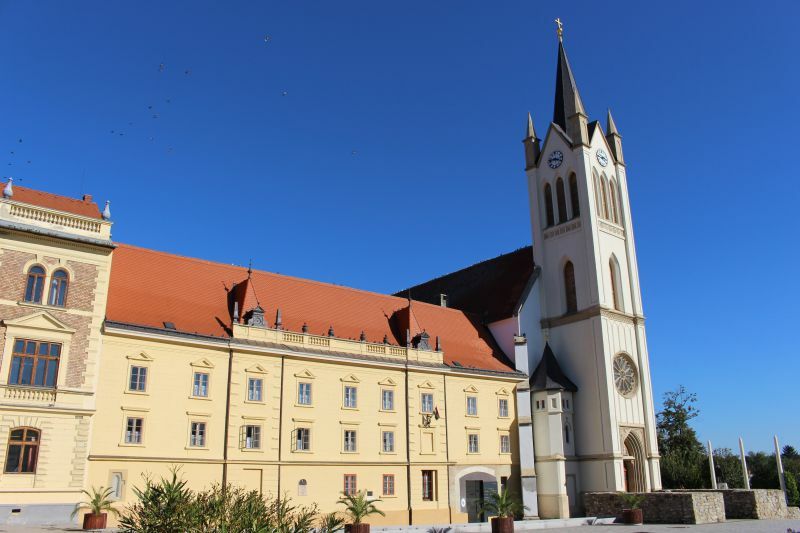 Location: Veszprém, Kittenberger Kálmán u. 17. Coordinates: 47.095367, 17.892753. The soul of any city is not its palaces and museums. Do not pass by the small markets where life is in full swing and where the locals sell cheese, wine, their own pepper and various souvenirs! Get acquainted! 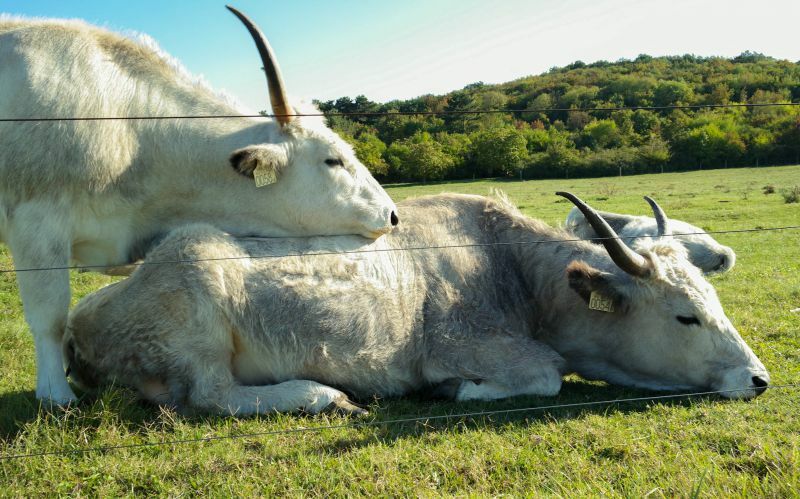 Hungarian cows. You will rarely see such beauties. 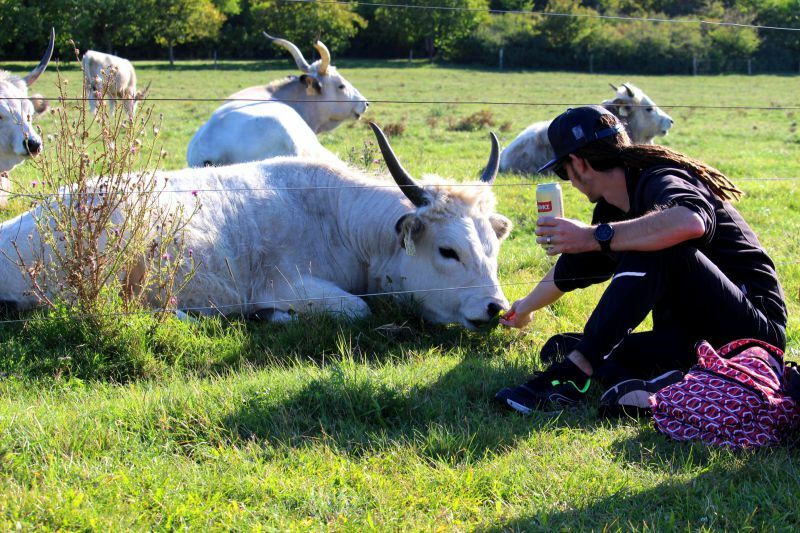 They are dwellers of the national reserve and lazily spend their days chewing grass on Tihany. They do not mind taking part in a photo shoot. But some of them were less fortunate: cows of this breed are especially valued in the goulash soup. Location: next to the Lavender House on Tihany. Major u. 67, Tihany. Coordinates: 46.907771, 17.886958. Location: the city of Siófok, the northern side of Lake Balaton. Coordinates: 46.905847, 18.052136. This is a transport in the Hévíz resort. 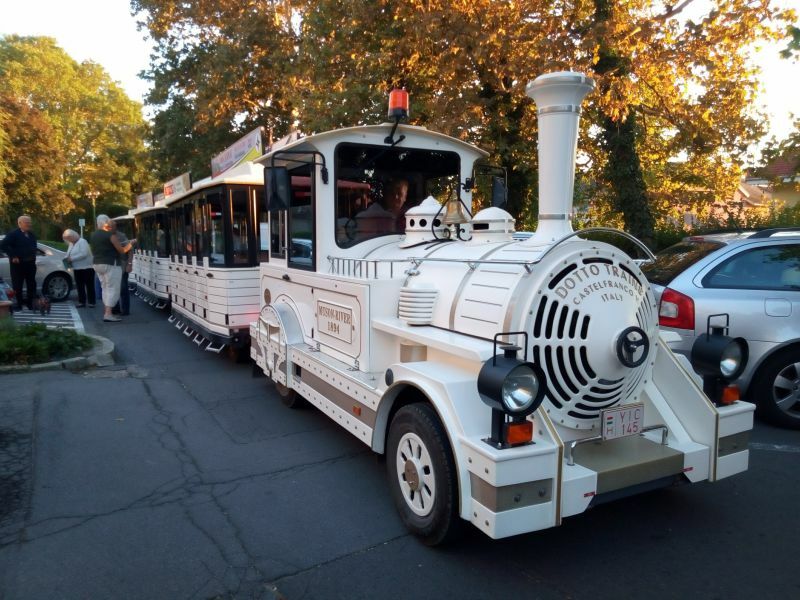 Yes, there are no trams and buses in the tiny town, but this amusing train runs regularly. The price is about 3 euros. Location: follows the route in Hévíz. The Tihany echo diligently repeats what you have said. If you stand next to the monument and shout a few words, they will come back to you. The sound echoes from the church wall. They say that earlier it “returned” up to 15 words, but gradually the effect weakened. A beautiful legend about a girl with a beautiful voice that angered the king of the sea is associated with this place. He made her be an “echo” repeating the sounds coming out. Location: Tihany, Alsóóvári u. 1. You will get here if you walk from the Benedictine Abbey along the pedestrian Batthyány street. Coordinates: 46.916956, 17.888343. 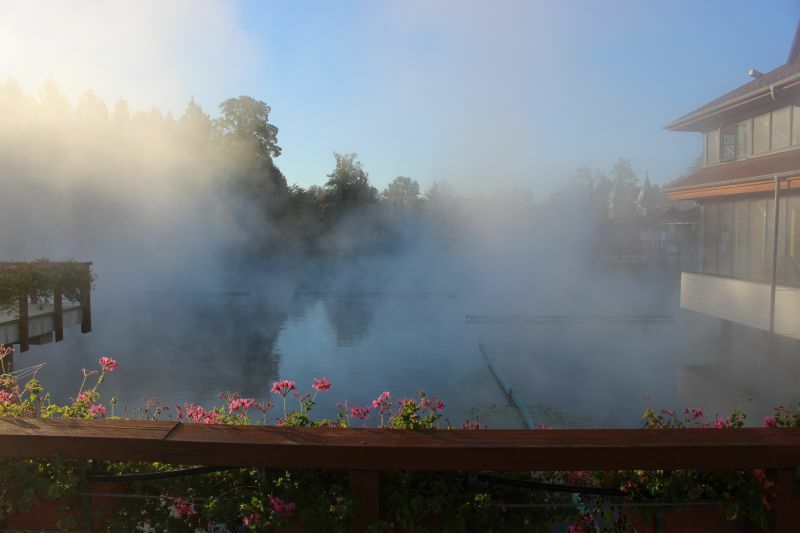 The best time to relax on thermal waters is spring and autumn. In the summer, swimming in hot springs is pretty hot. 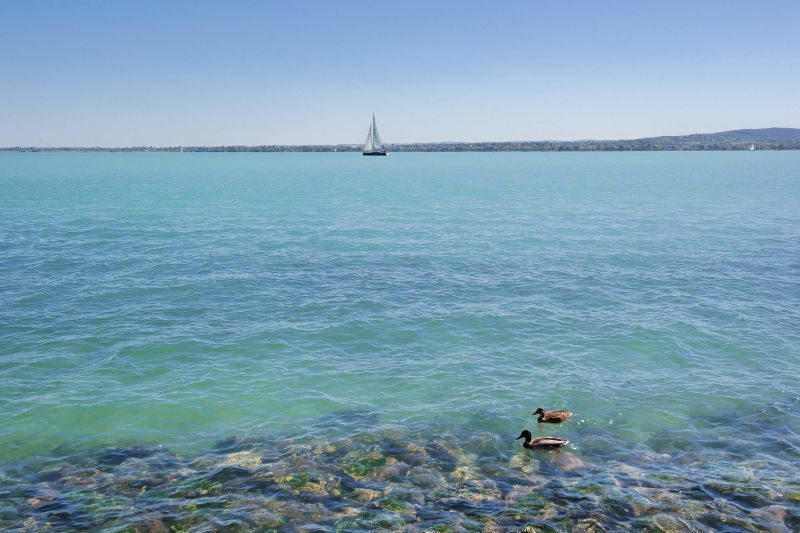 The high season at Balaton comes with the onset of heat: from May to September. At this time many tourists come here, noisy festivals take place. 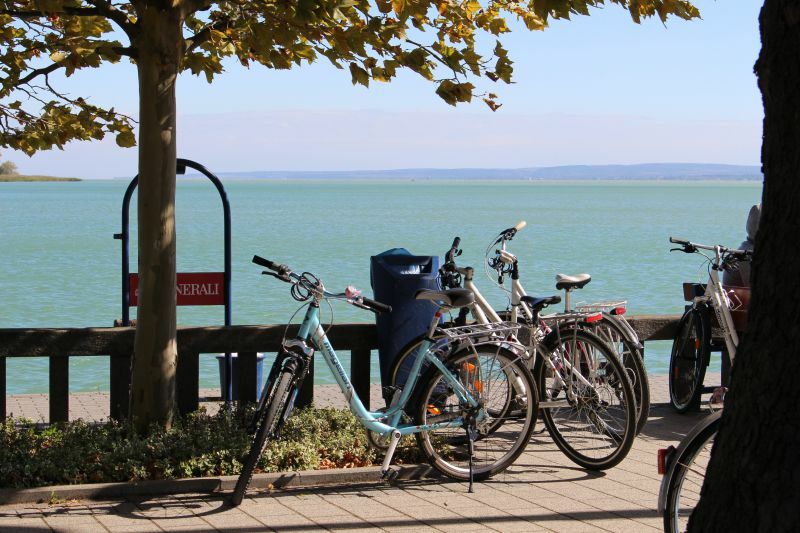 If you want privacy, go to Balaton in April or autumn. Picture taken on the embankment of the town Révfülöp. In order to have time to see everything, it is better to rent a car. Yes, public transport is well developed in Balaton: you can ride buses, small commuter trains. But buses, for example, run from one point to another every hour. And instead of half an hour the road will take at least an hour. And the last bus will leave a maximum of 10 pm, or even seven. We rented a car from AVIS company. Check out the Balatonföldvár travel agency (Petőfi Sándor u. 1) and get a free Balaton travel card. With it you will receive discounts on visits to some museums, excursions. For example, water activities are 15% cheaper. You also get additional discounts in some bars and restaurants. The map is also available online. 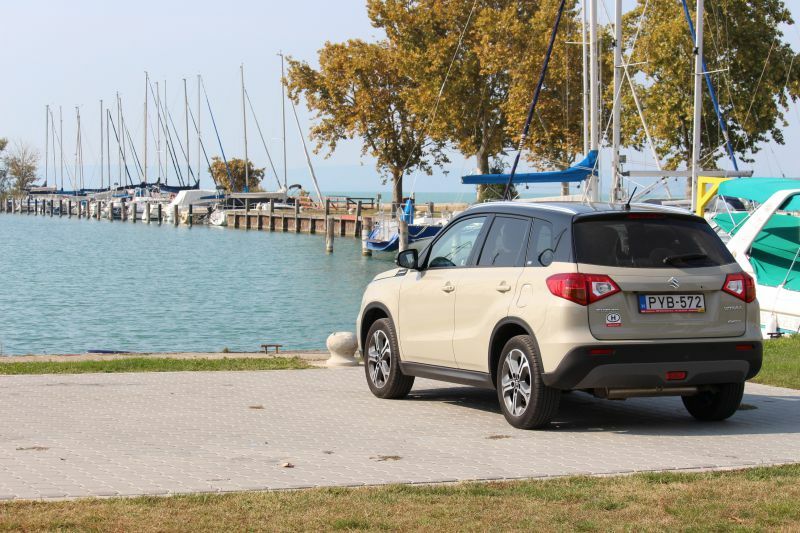 Going to Balaton for your summer vacation? 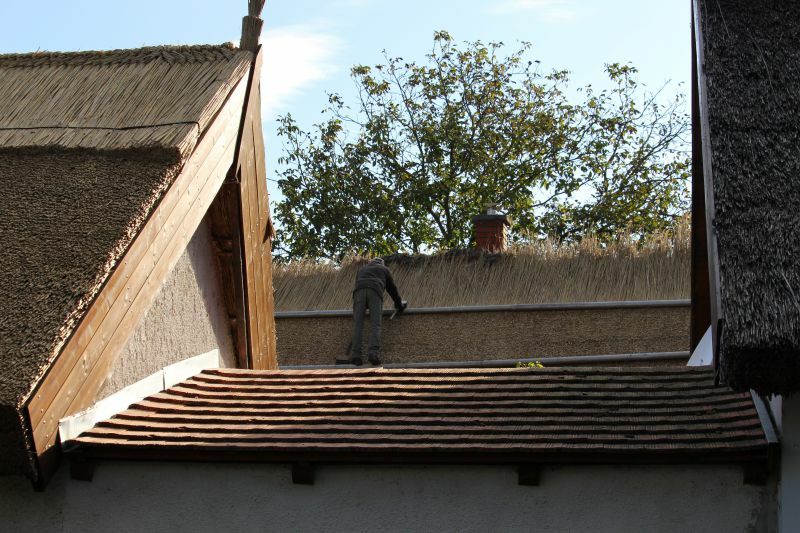 Take care of your housing in Balaton in advance! During the warmer months this is a very popular tourist region! Plan your trip to Balaton in advance in order to have time to see all the most interesting things – and as you can see, there are plenty of great places!